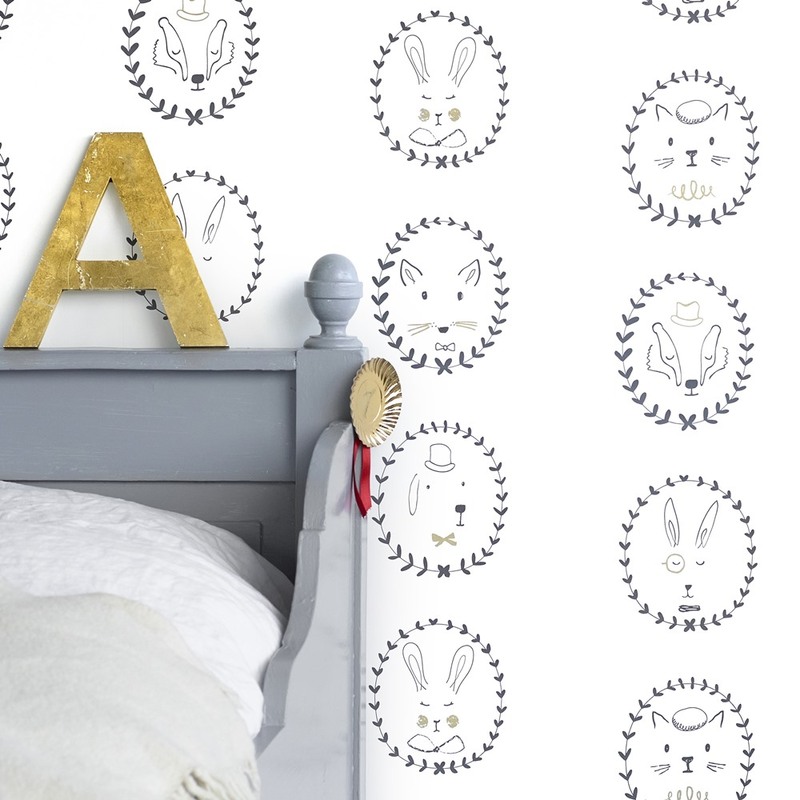 Inspired by traditional ancestral family portraits, this design features delightful portraits of animal characters framed in olive leaf wreaths. 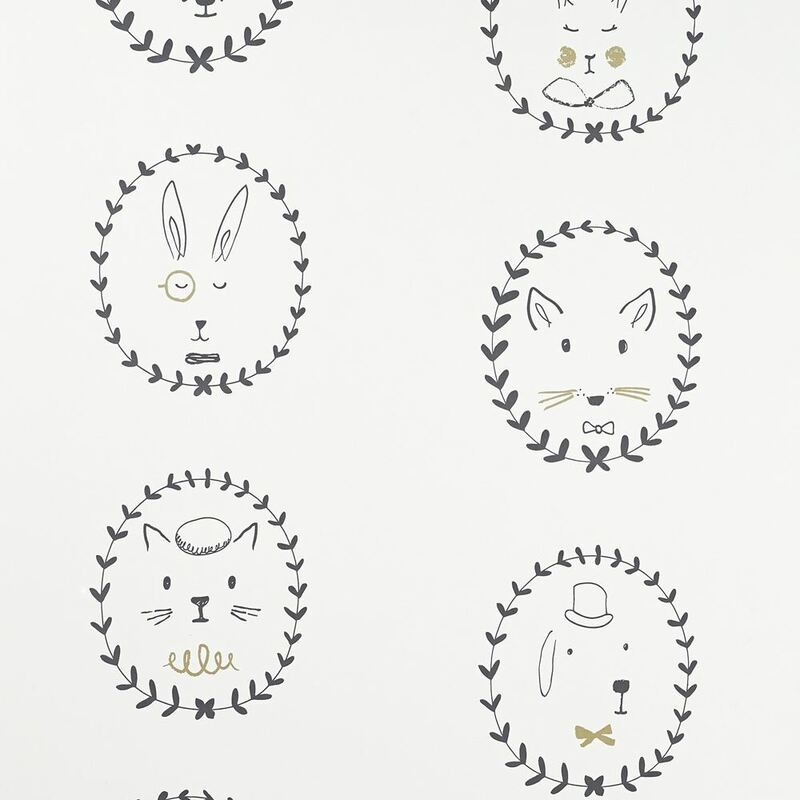 Meet Great Uncle Algernon, the monocled hare and Aunt Maude, the cat with the pillbox hat amongst others.Our Raindrops wallpaper is a beautifully calming design that will make a stylish statement in any room - from nurseries to kid's rooms and even bathrooms! Available in an on trend monochrome colourway with gold details, this design will add a touch of Scandinavian chic to children's spaces.